Today is new, and you can be too. This day carries forward positive value from the past, and adds to it new possibilities for the present, and so can you, Ridwan. What came before is over, so stop wishing that the bad things had not happened or that the good things were still here. Now is your opportunity to create new goodness, right now, in new and better ways. Take all those good memories and values, and carry them forward in your heart. Resolve to honor the best of what has been by making the very best of what you have today. Ridwan, you’ve had some sadness and disappointment, and there will be more. Yet all sorts of new and meaningful joys await your choice to let them come to life. This is the day you have, this is the place you are, and in it is everything you need to make a positive difference. This is your opportunity to live with more richness than ever, and the more you give, the more of that richness and joy you will know. Treasure the best that you’ve been, and use this day to make it better. 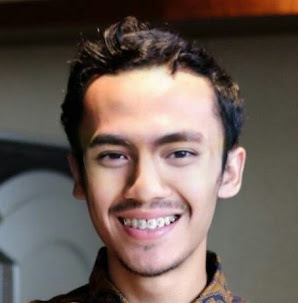 Put a real, authentic, confident smile on your face, a song of thankfulness in your heart, and live the greatness that is now, my dear Ridwan.